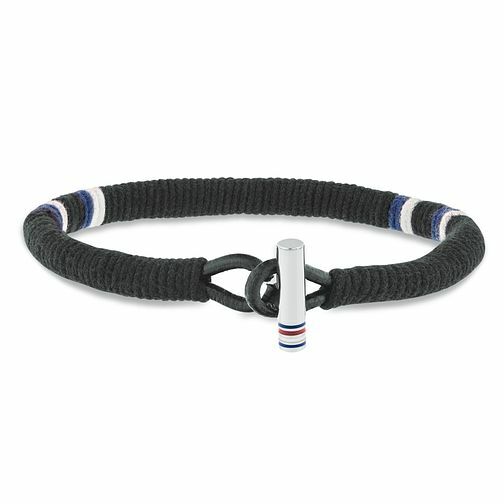 This timeless men’s Tommy Hilfiger wrapped leather black bracelet features a polished stainless steel toggle closure with enamel Hilfiger stripe detailing. with white and navy thread. The inner circumference measures 19cm and the length 20cm. Tommy Hilfiger Men's Wrapped Black Leather Bracelet is rated 5.0 out of 5 by 1.